These are my photos from Athens! It was magnificent! I finally saw Parthenon, of which I learned in school! perfect! im looking forward to see other photos. Such cool captures of Athens, and adore those chic sneakers! love your hair and your UNIF top! beautiful pics! you have a cool style. SO glad im a follower haha. This post is perfect and so is your blog! Maybe you could check out mine and follow if you get time? i love your outfits in these photos so much! great photos! Love your casual style! Ma....da bi reč jednu rekla...odlicno! you remind me of one of the olsen twins, you have fantastic style! 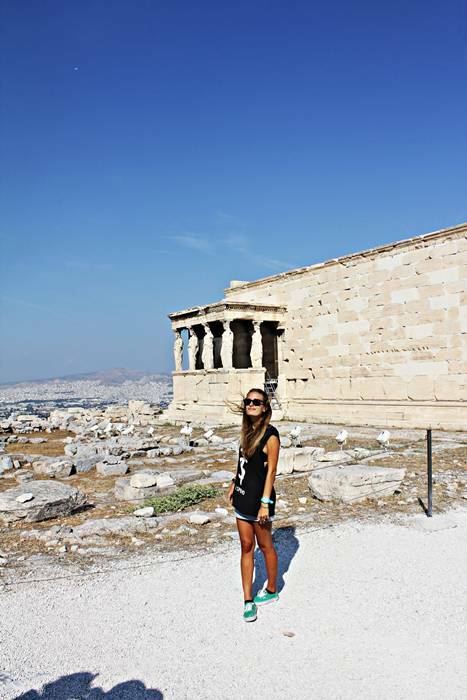 these pictures are great, athens looks like such a beautiful city, i have to go there one day. Great photos, i love the top! awesome photos!! And I love your outfits! cool post and amazing pictures!!! I like your style very much, I will follow with pleasure, well I can learn from you too :-)many kisses!!!!!! Thank you! I'm sure I have a lot to learn from you too. Love your style! I love your t-shirt - hahahha! Man, Greece is one place I have yet to see. Soo much history and beauty there. You lucky gal, you! Awesome blog !! Love all your pictures!! LOVE these photos!!! The background is beyond amazing and your tank is super cute! Sure, I'll follow you. You're cute. you look so tan!! and i just love your hair braids as well as your bright accessories!! Very nice pics!! !Thank's alot for your visit on my blog!!! P.S: Thank you for visiting our blog. Will definitately look forward to your Greece photos! Nice casual look, I like it! Come back soon to visit my blog, I'll be waiting for you!! Thanks for your lovely words on my blog, I will also follow you, I like your style and your photos ! See you soon. ps, I read you comment, of course we canfollw each other, I follow you wait for you to follow me back! I'm having a giveaway! Have you entered? hej ti, malo me sram priznat ali stalkam tvoj blog i tvoj profil na facebooku i mislim da si prekrasna i imas savrsen stil za pozeljet, puno srece, chekiraj moj blog ako zelis, tek je u pocecima ali nikad se nezna. Wow, what incredible pictures!! Love your hair!! 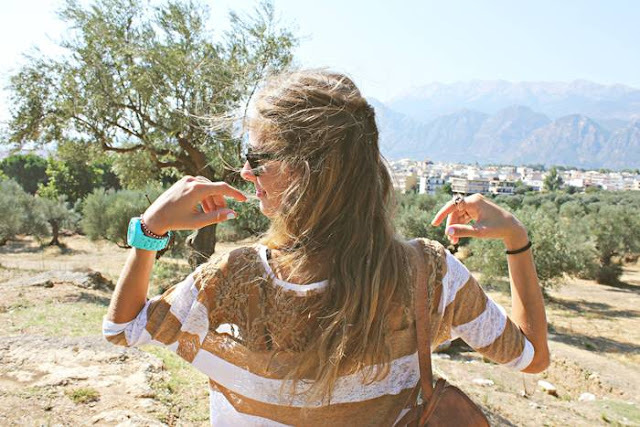 I love your tee and your blog, very nice pictures!! such great photos! I love both your outfits and your hair is gorgeous! I love this post! So jealous you got to visit so many fun sites. Nice outfits, especially the first one. You have a great style. 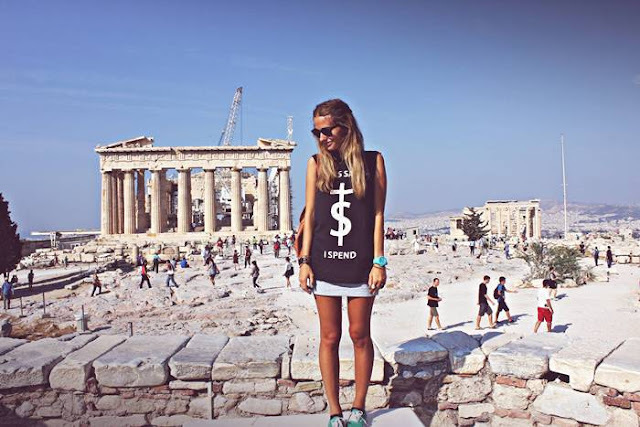 You look beautiful in Athens and such a cool t-shirt, I especially like the photo when you can see the city in the background. Love your blog! Great style!. I'll definitely be checking in for inspiration! your outfits and your attitude is amazing. I wanna go to sparta!! so much! lovely photos! really nice pics and outfits!! thanks also for your amazing comment in my blog, and I'm sure we're going to learn a lot from each other! following you..
Great pictures!Your black tee is amazing! Love the location and your hair! Love comment sweety ! Of course we CAN follow ! I Will follow back ! I love your blog!! I am following now girly! hi , thanks for the comment on my blog . I have to ask why the middle finger on the 4th photo ? you have nice long hair ! Did you have good time here? 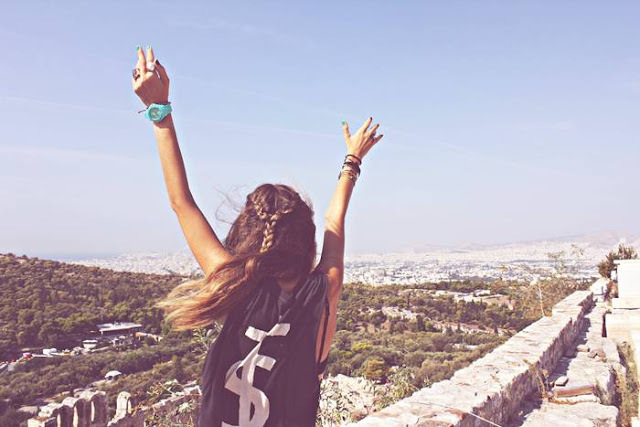 I saw that you visited a lot of greek cities! Hope you had a great vocations! I love Atenas too. Kisses. Wonderful, I was in there 1 year ago maybe and is really wonderful place i really liked, i just hated the sun.. thanks for share.